The Rotary Club of Lethbridge East partnered with the Lethbridge & District Exhibition in the Rotary Adventures in Agriculture program . This was the fourth year that we have teamed up with the Exhibition to send students to Regina to take part in this program. The students spend 4 event packed days visiting many agriculture related businesses, the Canadian Western Agribition, the Saskatchewan Legislative Building and several other events. 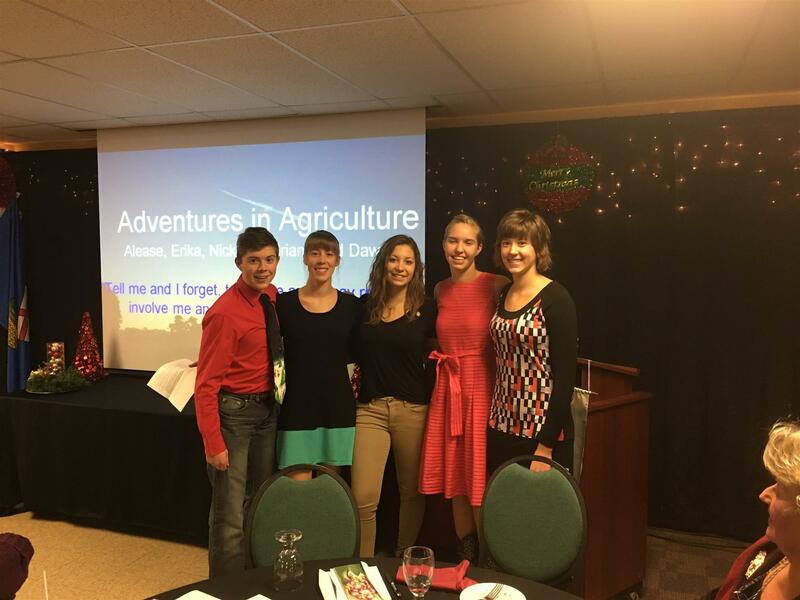 The Adventures in Agriculture Program is hosted by the Rotary Club of Regina Eastview. Our hats go off to these Rotarians for providing a very educational fun filled opportunity for some bright students to see and experience agriculture related careers, businesses and exhibits. From left to right, the Adventures in Agriculture 2017 students are Dawson Pahl, Erica Haugan, Alease Scholten, Adriana VanTryp, Nickola Haugan.